RotopaX products are proudly made in the USA by the original manufacturer of the 1st generation fuel and water packs. 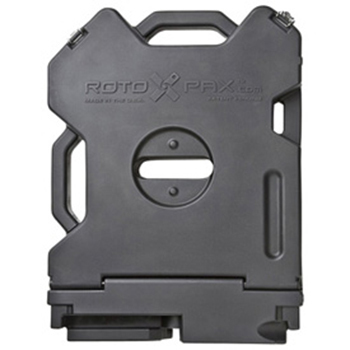 RotopaX are Rotational Molded - the process which produces indisputably superior products. Designed to carry extra gear on those long hauls. Thick walls and and stronger construction helps RotopaX work as hard as you do. •The RotopaX Storage Pack makes it easy to take your lunch, jacket, gloves, tool kit, or anything you like without the bulk of a large cargo box.